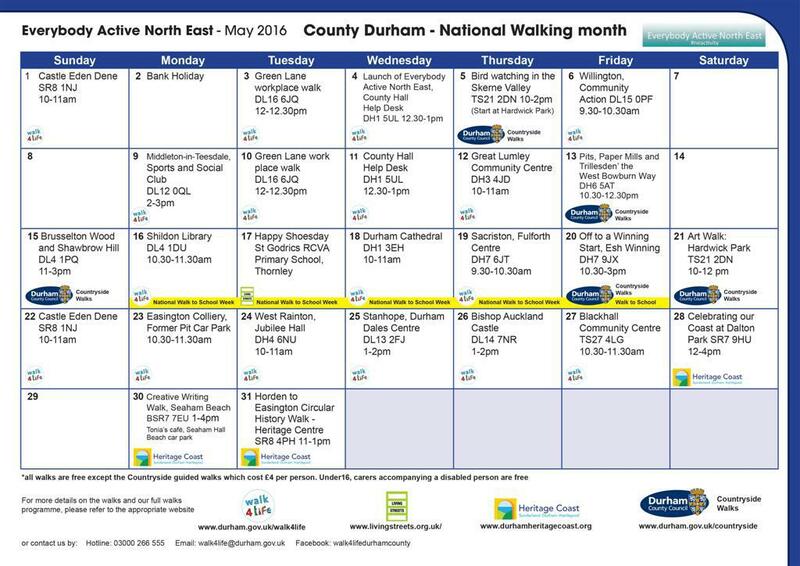 A month of healthy walking activities has been launched by Durham County Council as it announces it is taking part in the Everybody Active North East campaign. 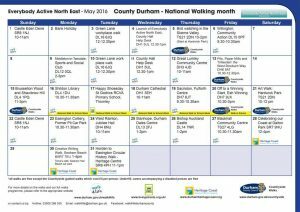 The campaign is a collaborative project with Public Health England (PHE) North East and all twelve north east councils, showcasing a different physical activity in the region each month. It is hoped that the project will support increased activity across the population especially amongst the 1 in 5 people who currently do less than 30 minutes of physical activity per week.Research shows that regular physical activity can reduce the chance of developing type 2 diabetes, cancer, dementia and depression. It can also help prevent falls, joint and back pain.